In 5 times as many children cannot go to school in the disaster-stricken area now. Many of them need to be cared mentally. 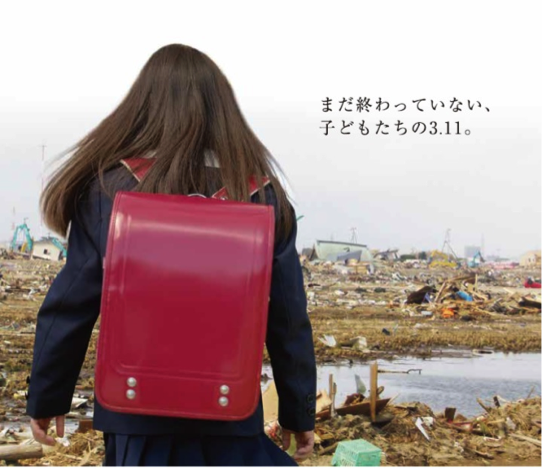 5 times as many children have come to avoid going to school after the Tohoku earthquake. We need to establish a ‘free school’, where children who are mentally deeply damaged can study comfortably, with some mental support. Thank you for reading this page. I am Rie Nejime, the representative of Mother Link Japan. 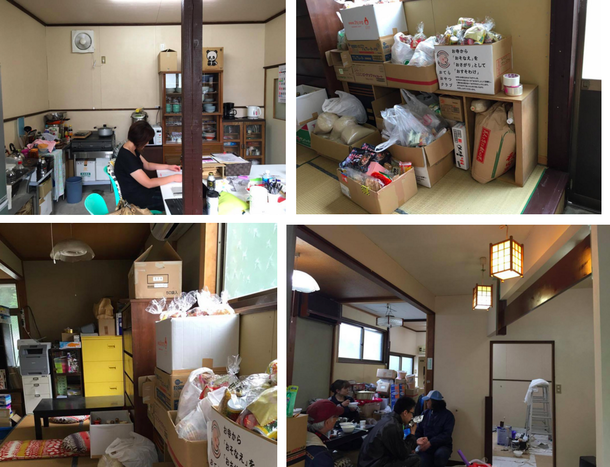 I have started living in the stricken area in Tohoku just after the 3.11 disaster, and from the next year, I have been helping people there, while living in a temporary house. There is a lot more to tell you in Tohoku than what the media tells you. Please read this article until the end, please don’t look away from the reality. Six years have passed from the Tohoku earthquake, and the media tells us that the situation is going better, but for the children, the earthquake is not finished yet. We don’t want to look away from a single child’s life. Did you know that, after six years from the earthquake, lots of children cannot go to school? According to the local newspaper, 2.5 times as many children cannot go to school in the area. The mothers say that it is 5 times as many. In some classes, as many as 5 children are not going to school. We want to establish a new school for them with you. Many children have become PTSD from the tsunami, and therefore come to be unable to go to school. We recognized this while we were helping the single-parent families. It was September, 2015 that we started to think that we cannot abandon them, and started to make an action. We have established a free school ‘Sunny House’ last year, and consequently, all the children who have come could go to school again. We were very happy to hear this. However, children in serious conditions have not come here yet, and it is because there is no available space. ‘Sunny house’ is so small that even if someone comes to tell us their situation, our conversation can be heard to everyone. We have no choice but to listen to them in cars or go to restaurants and cafes. When we are asked to accept mentally damaged children to free school, we cannot accept them as the circumstance is not good enough for such children to enjoy. What we need is somewhere to care the children mentally, somewhere those children can comfortably be in. It is essential to save those children whose situations are more serious. 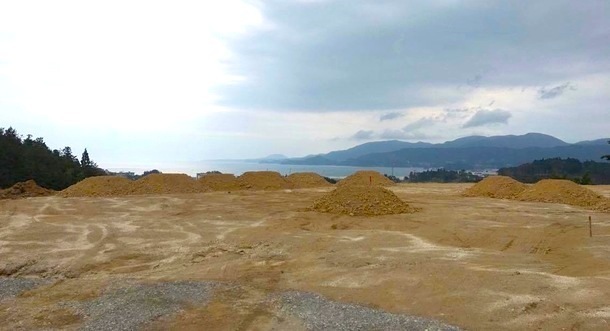 However, Rikuzentakata, where we are helping the children, has been totally damaged by the tsunami, and there is no suitable building. It has been a year and a half since we have started to find some place. After the earthquake, many truckers have been going up and down the street, and children cannot play in parks as before. Children have nowhere to go to. Those who cannot go to school have no choice but to be locked up in temporary housings, which is not good at all for them. It is vital for them to have somewhere to be relax other than school or temporary housings. ‘Why not improve the situation for the serious conditions of the children?’ We have decided to challenge for this cloud founding for establishing new free school. Please help us --- we don’t want to abandon a single child. Generally, children who didn’t get to go to school mostly become ‘hikikomori’-those who don’t work and stay at home, in the future, not getting accustomed to the external world even after they grow up. It is well known that people in their forties are becoming ‘hikikomori’s. It is important to slove this problem as soon as possible. What we want to tell the children is that it is great to live. If a child can go out, s/he would have a fantastic life. We want to tell them that life is beautiful, though there are both very good things and bad things in life. When we say we are living, we are not only eating and sleeping; we are also in the community, helping each other. We want them to recognize the value of just living, regardless of what happened in their life. My wish is for them to not stay at home forever. If you approve of what we are trying to do, please join us through READYFOR. Please don’t look away from the reality. 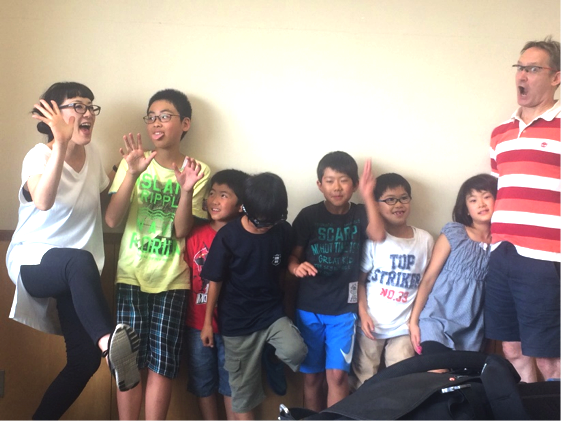 You can do something or the children in Tohoku, and they terribly need that help. We have been asking for donation for the free school for a year, but it is not going well because there were earthquakes in other areas, and for myself, I have been too busy to raise money for it. 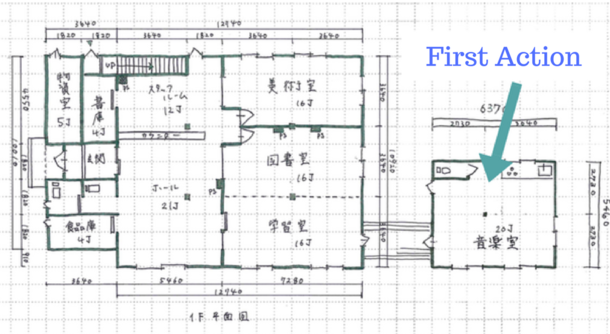 First, a separate music room to start a enjoyable school life as soon as possible. Apart from studying rooms, we want to have rooms to care children mentally, such as art room, somewhere they can do whatever they want and relax, a library to have them learn on their own, and a conference room. We need time to raise money and make it come true, but the situation is serious. So, we are planning to do cloud founding for several times. First, we will raise money to make a separate music room. We will make it separate in order to make the establishing make it less expensive. Alone, we can make it soon and can be used by children soon. 5th: study rooms to use for a practice before getting back to classes. For the children, 3.11 earthquake is still there. Please help us to have them smile again, and to make their future better.